Showcasing the top wineries from North Carolina’s wine country, festival-goers will have the opportunity to sample from 30 wineries that are either located in the Yadkin Valley or use grapes harvested from Yadkin vineyards. Originally developed to promote viticulture, local vintners now find themselves competing with well-established wine-regions, like California, and are taking home top prizes. Many people think of wine as a scary adventure and aren’t sure what to expect. Education is an important component of the festival, with winery representatives on-hand to answer questions and help people find wines that suit their tastes. In addition to wine tastings, the festival includes food, music and crafts. Taylor Vaden’s Tribute to Elvis and Phatt City, a beach music and R&B band, will provide entertainment. Between music sets, kids can participate in a grape stomp. The 10th annual Yadkin Valley Wine Auction will take place in downtown Elkin the night before the festival, Friday, May 20. The gala-style affair includes dinner, dancing, and live and silent auctions. Items up for auction include furniture, travel packages, home decor items, college football tickets and more. That event is at The Liberty events hall and starts at 7 p.m. Tickets are $50, with all proceeds benefitting the Hugh Chatham Memorial Hospital Foundation. 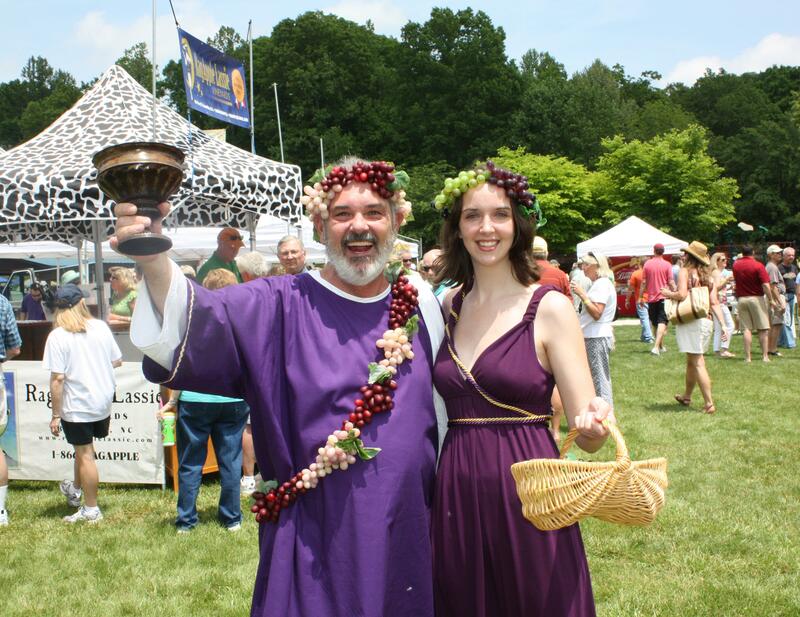 Yadkin Valley Wine Festival tickets are $22 in advance and $30 at the gate. Active duty and retired military can purchase day-of tickets for $20. VIP tickets are available for $100. The VIP package includes preferential parking and access to the hospitality tent. Shuttle service is available to and from participating hotels for $5 per person. The festival runs from 11 a.m. to 5 p.m. For complete details and to purchase tickets, visit www.YVWF.com or call (336) 526-1111. To learn more about the Yadkin Valley area and explore lodging options, visit www.YadkinValleyNC.com.